Q. How do I renew a book in the book catalog? 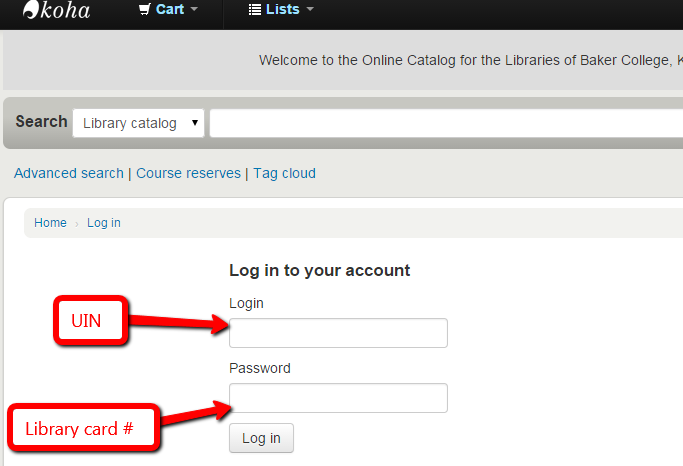 Log in to your account in the Book Catalog using your UIN in the top box and your library card # in the second box. On the next screen, you will see a display of the all items you currently have out, along with their due dates. Click in the box next to Renew and then click on Renew All or Renew Selected. For further help, contact your Campus Library/ARC.